Are you travelling to Estonia? Want to avoid paying expensive excess baggage fees? Travel luggage-free when using My Baggage. We can ship your luggage directly to the door of your destination, meaning you can travel without having to drag around heavy baggage. Best of all? We offer fantastic prices for shipping your luggage to Estonia. Read on for more information. Estonia is a European country, located on the Eastern side of the Baltic sea. It’s neighbouring countries are Russia, Latvia and Finland. Estonia is a country with over 2000 islands, with the biggest being Saaremaa, measuring a massive 2,673 km2. There’s lots of sight seeing to be done on all of Estonia’s islands. The country is known for suffering from a early winter, kicking in a little earlier than many would like but the other offerings from Estonia does makes up for the short summer here. The obvious way of getting your personal belongings to Estonia is by booking into onto your flight to Estonia. This is ideal as you will be on the same flight as your luggage and some tickets allow you to check baggage onto your flight at a super low cost which is brilliant. However, if your airline does not offer this, checking on bags can be expensive and worst of all, if the size or weight of your luggage exceeds the airlines limit then you will need to pay high excess baggage fees. 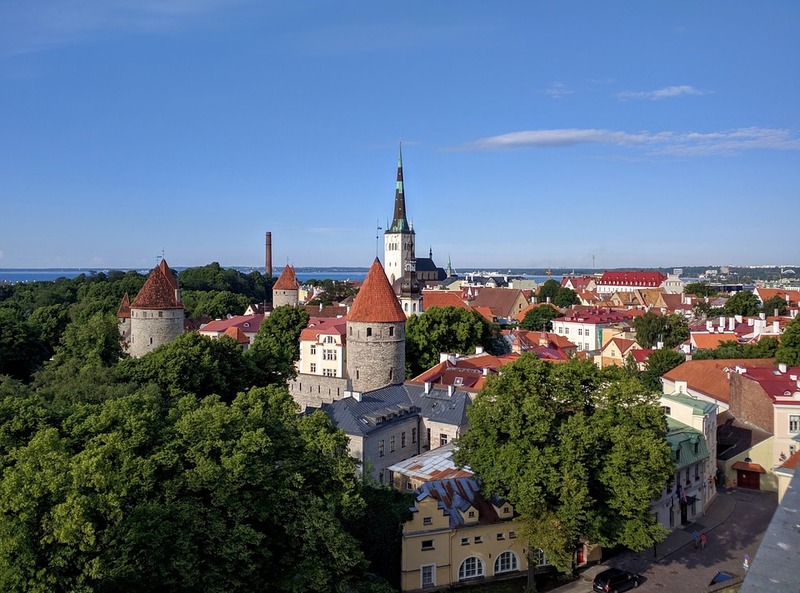 If the belongings you need to bring to Estonia are large household items, your best option is to book a removal company to transport these goods for you. They know exactly what they’re doing and will ensure your larger items like sofas/beds makes it to Estonia safely. Another method of getting your luggage to Estonia is by using a luggage shipping company, just like us! Luggage shipping companies are often a cheaper option than paying for expensive charges on airlines or out of budget removals, especially when they’re not exactly needed! If you’re worried about not having your belongings with you whilst travelling, you haven’t got to be because some luggage shipping companies offer online tracking so you can check what stage your baggage shipment is in at anytime during the process. Although we ship a lot of luggage on a daily basis, that’s not all we ship. We ship a lot more than just luggage, have a look at some other things we ship. If you’re planning on playing your favourite sport in Estonia to compete or just for fun, you can bring your own sporting equipment with you instead of renting out other equipment or having to buy more. We recommend you to send your sports equipment in a double walled cardboard box, internal packaging can also be used to secure the equipment. If you believe your luggage will be too heavy for sending on the plane, without having to pay extra charges, you can send it with My Baggage. Using My Baggage means you can have your overweight luggage in Estonia with you all for a low cost and also means you won’t have to trail your heavy baggage around with you whilst travelling to Estonia. If you’re planning on fitting in a cycling trip whilst in Estonia or using a bike as a method of transport regularly, why buy a new one or rent one when you could just bring your own! My Baggage can ship your bike to Estonia and it’s super convenient too! Please note: In order for My Baggage to ship your bike, it will need to be dismantled and packed in a strong, double or triple cardboard box. If you don’t feel confident to dismantle your own bike you can bring it to your local bicycle shop and they should be able to do it for you for a small price. My Baggage shipments often clear customs in a timely manner, free from duties and taxes, as most countries offer a generous duty-free allowance for personal effects. However, My Baggage has no control over any customs decisions made so we do advise you to take your time to research into the customs and quarantine within Estonia before booking your shipment on our services. We strongly recommend using suitcases or sturdy cardboard boxes when packing for transit, to minimise the likelihood of damage. Avoid using fragile or expensive suitcases as no type of packaging is covered by our compensation cover. When sending fragile or delicate items with My Baggage, it is recommend that you use internal packaging materials such as bubble wrap to protect your items them during transit. Please find our complete packaging guide here. My Baggage allows customers to ship personal belongings worldwide. You ca ship almost everything that you could find in a holiday suitcase. However, restrictions apply due to security and custom reasons which means some items are prohibited and we are not able to ship them for you. There are some items that are allowed on our services but are not covered in our compensation cover. If you wish to send these items, you will do so at your own risk and My Baggage cannot cover any costs of damage ect on them. If you choose to send the non-compensation items, please ensure they are packaged securely. Make yourself aware of My Baggage’s prohibited and non-compensation items. As import allowances, security and customs processes differ all around the world; we recommend that you do your own personal research into what may be prohibited in your destination country before booking your My Baggage shipment. Booking with My Baggage is simple and is only a few clicks away. Start the booking by getting a quote, we will then send you some labels to secure onto your shipment then you can sit back and relax! My Baggage takes care of the rest. We will get a driver to collect your luggage and deliver it to your destination within Estonia. If you’ve any problems or questions at any point during the booking process, contact us, we would be happy to help you out!